There is a lot more to buying scooters and bikes than merely focusing on their mileage, fuel capacity, safety features, and design. This is specially true regarding purchasing two-wheeler insurance that has an important role to play on Indian roads. 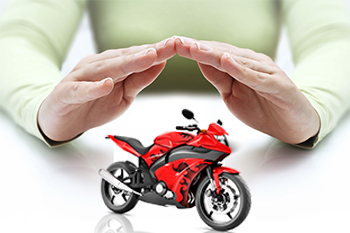 What plays a critical role in two-wheeler insurance? First and foremost, it is a good idea to check out different insurance options for bikes instead of signing up for the first one that comes your way. The insurance plans shortlisted by you should address your needs to the hilt. If you succeed in taking care of some critical areas of concern, you will not end up doling out large sums for maintenance or repairs in future. 1. Have you researched on add-on covers? Most two-wheeler insurance policies encompass the buying of add-on covers that are also referred to as riders. If you need protection against depreciation, you may want to opt for Zero Depreciation Cover that will protect the nylon, fibre, plastic, and rubber parts of your bike. Then, there are special covers available for the protection of your engine; such protection is helpful if you stay in an area prone to water-logging and water-specific damages to vehicles. Be aware that insurance providers usually pay for towing charges when it comes to ferrying your bike from an accident site to a workshop or garage. It is good to find the amount that will be spent by the insurance company beforehand. 3. Do you need a long-term two wheeler insurance? All bike insurance plans do not end at the expiry of one year; you may choose to go for a plan that covers your vehicle for three years at a stretch. This effectively means that you need not renew your policy or worry about losing protection every twelve months. Some insurance companies also provide the option of buying personal accident covers for the person accompanying you on your bike. Research the available plans and the addition of your premium amount before moving ahead. Determine the premium after taking care of the cubic capacity, insured declared value, year of manufacturing, the term of insurance applied for, depreciation amount and so forth. You may or may not want to pay for add-ons that will increase the premium amount of your two wheeler insurance considerably – decide accordingly. Did you know that you are eligible for No Claim Bonus (NCB) for the years you do not request any claim? This is discount obtainable on your premiums for zero accident claim and good driving record. IDV or Insured Declared Value refers to the sum at which your two-wheeler is insured. This value will be maintained across the entire two wheeler insurance policy term; therefore, it has to be appropriately calculated. The manufacturer’s selling price as listed, less the depreciation as duly adjusted as per your bike’s age, will help you assess the IDV. Do not let the different types and variants of insurance coverage confuse you. While a third party policy is mandatory to cover bodily injuries, death, or damages inflicted on third-party properties; comprehensive or full coverage plans for damages incurred to your bike/scooter are optional. Another area of concern while buying bike insurance pertains to the various kinds of coverage available for grabs. It helps to understand the benefits of collision coverage, vandalism cover, theft protection, fire insurance, and other related coverage plans before deciding upon the ones that adhere to your requirements. In case your premium is adjustable on a proportional basis, you can substitute your bike with another vehicle and continue enjoying the benefits of your current plan. However, the value of your next bike and the existing one should be the same for this purpose. Buying two-wheeler insurance is not a cumbersome affair provided you are aware of your exact coverage needs, the budget for premium, and other areas of concern. So, wait no longer and delve into the world of insurance at Coverfox.com to figure out the cover that is appropriate for yourself.